Even weight loss… the list goes on! The Biocompatibility Hair Analysis Test and Wellness programme can be just what you’re looking for to finally get some effective solutions that can totally restore good health. 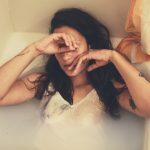 If you’re not getting good enough results from your usual naturopath or practitioner, or are they’re just taking a Band-Aid approach, then it’s time to try something new. The program is a 6 month wellness programme to help you get well. The first step is to sort out your diet and eliminate foods and chemicals that are aggravating your symptoms and all that’s required is one small hair sample. The sample is sent away to a laboratory on the Sunshine Coast for testing. This is not medical allergy testing, but uses testing equipment based on energetics developed over the last 30 years by an experienced natural health practitioner. Metals such as gold, silver and aluminium plus more. There is even a special list for babies and pets. This test takes all the guess work out of what food or product is good or bad for YOU. It’s a personal and individual test that can tell you exactly what you can eat so that you can feed your body correctly. This allows your body to repair effectively as your immune system is able to operate more efficiently. The test is safe, painless and accurate. It involves no needles or blood samples – just a piece of your hair! All you need to do is come in for an initial appointment and supply approximately a 2cm long x 1cm width of hair along with the order form. When received the order will be processed, then Julianne will contact you to make your next appointment. The hair sample takes approximately 5 working days to be processed, and then your full report will be ready. 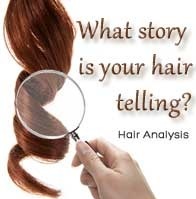 During your initial consultation you will receive an outline of what the hair analysis will consist of. Your second treatment you will receive your fully individualised and comprehensive report listing all the foods and chemicals tested, along with supplemental general health information and further information which Julianne may recommend. This could be in the form of natural supplements – yes, a small range is tested such as fish oils, probiotics and protein powders – in order to formulate a specific diet protocol based around foods that do not impede your immune system. It’s easy to integrate into your existing diet and lifestyle, and therefore easy to adopt and stick to. You are able to track and monitor your own symptoms and then a 4 week follow-up consultation with Julianne is made to review your progress. This is when any troubleshooting, extra testing of any specific items or further supplementation if need be is discussed. Results vary from person to person, with many people experiencing 60 – 80% improvement in 4 weeks. Some symptoms can be 100% eliminated after the 1st week! Lasting changes will be experienced because it’s working at the very root of the issue – NOT just masking your symptoms. After 6 months, a retest is recommended to discover which foods have corrected and can now be reintroduced into your diet, which ones have not, and if any new foods need to be eliminated. The Biocompatibility Hair Analysis and Wellness Programme takes a whole new approach to your health care. This is not a “one-size-fits-all” solution, but a personalised health programme that can unlock simple secrets to a healthier, happier you! Please feel free to contact us on 0406 688 832 for further information regarding the test or program.